McAlindens is another one of the Galway Pub scenes hidden gems. Located in a beautiful building with a cut stone facade on one of Galway's oldest streets, Mcalindens is bursting with character. Inside you will find one of the longest bar counters in Galway, stretching from the front to the back of the pub. There is also lots of comfortable seating along the wall. 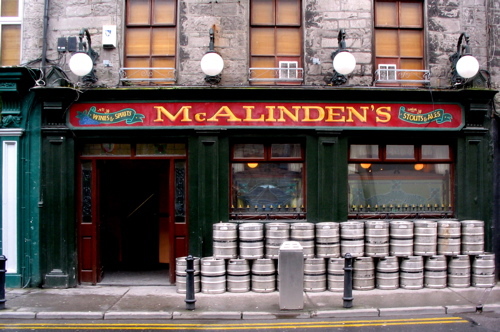 Mcalindens is a local bar with a loyal clientele which ensures a friendly relaxed atmosphere. It is especially popular during the day when Horse racing fans check out the tv to see if their bets have paid off. Although the Mcalindens have long gone, you may be lucky enough to hear stories of their tough stance on music or singing which wasn't favourably looked upon and might have resulted in your removal from the premises. McAlindens also has a large smoking area/beer garden which has its own tv underneath a covered area. 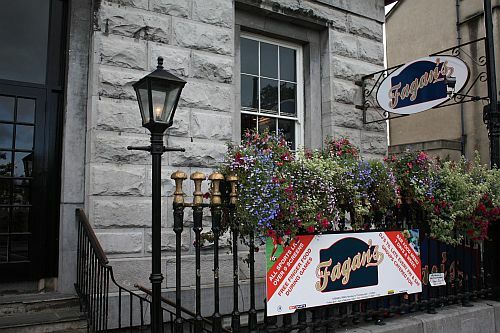 This is one of the best beer gardens in Galway City ideal for lazy summer days.